The Chilling Adventures of Sabrina trailer is here and its creepy – AiPT! No heartwarming Melissa Joan Hart look-alike to be found here. Today Netflix released the teaser trailer for Chilling Adventures of Sabrina and it lives up to its name in the way that its downright creepy. Take a look for yourself, but be warned, you won’t see Aunt Hilda and Aunt Zelda goofing around in the kitchen or Salem the talking cat cracking a sarcasm laden joke. 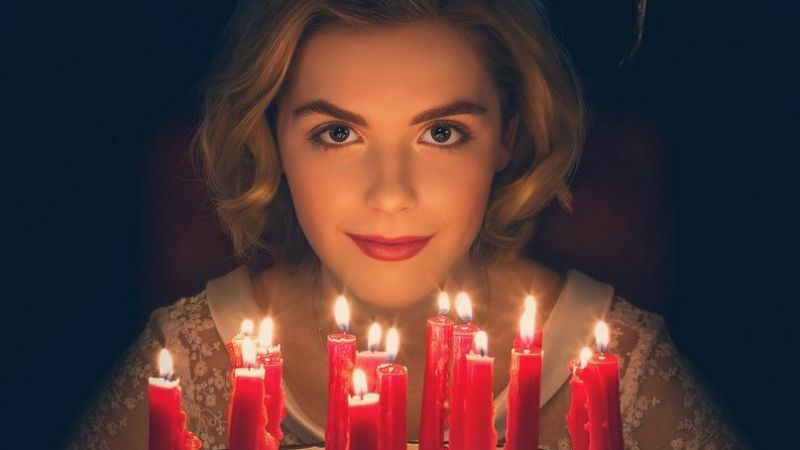 The series was created by Roberto Aguirre-Sacasa (Riverdale) and follows the life of Sabrina Spellman (Kiernan Shipka), a half-human, half-witch. On her 16th birthday Sabrina must decide whether or not to sign the Devil’s book and become a Bride of Satan, which in turn will transform her into a full-blooded witch. Should she decline to sign the book, she’ll revert to being completely mortal and lose all of her powers. While Sabrina navigates her magical education at the Academy of the Unseen Arts, she has to juggle having a boyfriend that’s unaware of her magical powers and two overprotective aunts who are both witches themselves. Oh and did I mention Sabrina’s favorite teacher has been possessed by the devil’s handmaiden and is hellbent on destroying her? Also starring in Netflix’s new teenage horror romp is Ross Lynch as Harvey Kinkle, Lucy Davis as Hilda Spellman, Miranda Otto as Zelda Spellman, Chance Perdomo as Ambrose Spellman, Richard Coyle as Father Blackwood, and Tati Gabrielle as Sabrina’s rival, Prudence. The first season of Chilling Adventures of Sabrina will be released on Netflix on October 26, 2018. The series has already filmed it’s second season and we can more than likely expect it to be released sometime in October 2019.